Clockwise (from left): Triq il-Buqana, road to Ta' Qali, Triq l-Imdina, Triq Ta' l-Infetti (to Saqqajja) and Triq il-Kav. Vincenzo Bonello (Mtarfa Bypass). 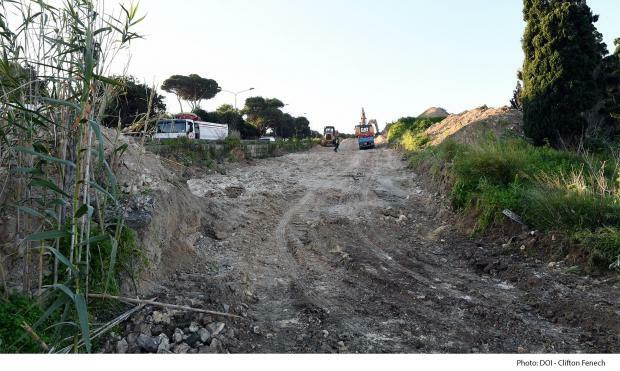 The widening of Triq il-Buqana, the distributor road linking Mtarfa to Mosta and Mġarr, has kicked off and is expected to take 30 weeks to complete. 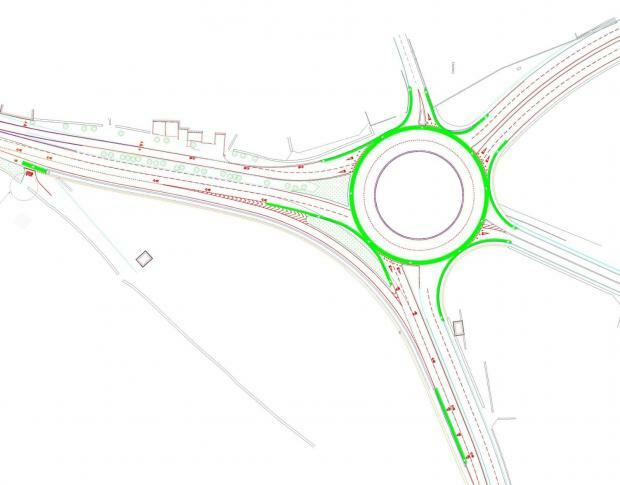 Infrastructure Minister Ian Borg, who visited the works on Monday morning, said the amendments would alleviate traffic at the Mtarfa/Ta’ Qali roundabout, with the addition of a bypass lane. This extra lane will link the Mtarfa bypass to a new northbound lane on Triq il-Buqana. An additional 1.8-kilometre cycle track will also be created in the process. Some 9,740 square metres of agricultural land has been reclaimed for the €3.6 million project, which will see the uprooting of some 40 trees, mostly indigenous. Infrastructure Malta CEO Fredrick Azzopardi said where possible, trees will be relocated, and new ones will be planted to make up for the loss of those that cannot be replanted. He said the other option would have been to retain the current line of trees and pass the new northbound land from behind them. However, this would have required an additional 1,155 square metres of agricultural land, the Times of Malta was told. Another lane joining the Buqana northbound lane to the Mġarr bypass will alleviate traffic at the Mosta/Mġarr roundabout, while the work will also see the reconstruction and widening of the Chadwick Lakes’ bridge. Meanwhile, both roundabouts at the two ends of this stretch of road will be rebuilt and re-aligned, to increase capacity and reduce accident risks.